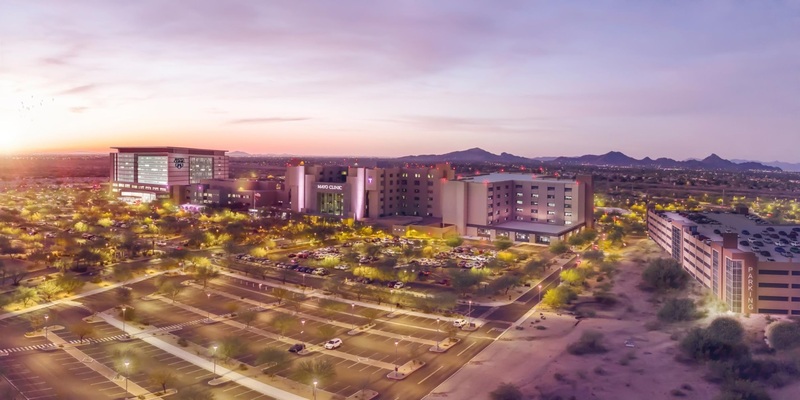 Mayo Clinic and Arizona State University have joined forces to create an accelerator aimed at early-stage medtech startups. The initiative, dubbed the Mayo Clinic-ASU MedTech Accelerator, will provide startups with chances to connect with investors and people who can help validate their products. Mayo Clinic and Arizona State are now accepting applications for the first batch of participants, who are due to enter the accelerator in April. In recent years, the number of venture investments in medtech startups has trended steadily down, hitting 196 in 2018, according to data collected by Vantage. Over the same period, the amount of money invested in medtech startups has soared as a result of huge rounds involving companies such as Grail, Helix and most recently Alphabet's Verily. Investors are making far fewer but much bigger bets. The financing trend has enabled well-connected companies such as Illumina-spinout Grail to embark on ambitious R&D programs but left other medtech startups, particularly those operating outside of the diagnostic sector, with a shortfall of funding opportunities. Mayo Clinic and Arizona State University think their six-month accelerator can open up investment opportunities for medtech startups. The program is open to early-stage medical device startups that have raised at least $500,000 in seed capital. Companies that meet the criteria and are selected to participate will pay $50,000 and embark on a six-month program that starts with two weeks on Mayo Clinic’s campus in Scottsdale, Arizona. Over the course of the accelerator program, most of which takes place remotely, startups will be given access to investors, Mayo Clinic physicians and other people who can potentially help to finance, refine and validate their technologies. The goal is for startups to exit the program better equipped to accelerate product development and raise money. Startups will also be offered incentives to move to Arizona. Whether this support can offset the shifts in the VC sector remains to be seen. The decline in the number of VC investments is, in part, a result of reimbursement being challenging, industry has asserted. With pre-revenue medtech IPOs a rarity, many startups face a long, expensive journey to an exit for their investors, leading VCs such as Forbion to pull back from the sector.